Of course there's a "national conversation" taking place over guns; is there ever not in America, no matter what the most recent mass shooting atrocity, no matter how many were killed, no matter how those numbers compare with any other atrocities in American life? I've partaken in that conversation before, and I'm reluctant to do so again; the last time I wrote at length about my relationship with guns was nearly 10 years ago, and my thoughts have changed quite a bit since then. Maybe sometime I'll sit down and think through where I stand now on the appeal and the idolatry of guns in America today; for now, though, just a quick, local note. Yesterday, Kansas's new governor, Jeff "Brownback" Colyer, spoke with an NPR reporter about the meeting of governors which President Trump called together for the purpose of talking about gun violence. You can read the transcript here. What really stands out is how frequently in this brief, 4-minute interview, Colyer refers to the need for "local" solutions. Not only does he explicitly refer to trusting in localism a half-dozen times, he very pointedly talks about how what's appropriate in "western Kansas," or in Garden City or Topeka or Kansas City, might not be appropriate elsewhere. And, as if people hadn't gotten the message, he baldly states that, in regards to guns, "I don't see a specific, statewide thing to do." In a follow-up to that interview, he went even further--insofar as Trump's idea that maybe teachers ought to be paid extra to arm themselves in preparation of the next school shooting, Colyer said he was intrigued, but that "local school districts should make that call." Now, you might consider all this wise and responsible, or you might consider it foolish and dangerous. 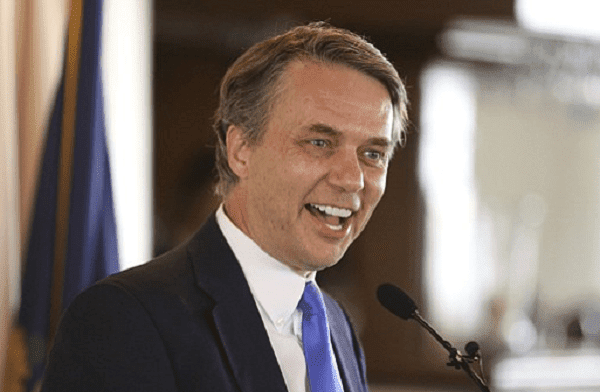 What you can't call it, though, is consistent--because it was Colyer's administration, while he was lieutenant governor, that forbade Kansas municipal governments and other local bodies, including our state universities, from interpreting state laws regarding the concealed carry and open carry of firearms in accordance with their own local needs and preferences. So, yes, the governor supports local decisions...but apparently, unless he's suddenly changing his tune (and he's not; when the NPR reporter asked explicitly about revisiting "statewide laws saying that cities and counties cannot pass gun restrictions that go beyond state law," Colyer gave an unambiguous "no"), then it appears the only local decisions that really count are those which the National Rifle Association supports. This isn't surprising, of course. Kansas is a pretty conservative state, and Republican politicians around here likely see only positives coming their way when they curry the favor of the NRA. (Though it's worth noting that Carl Brewer, former mayor of Wichita, Kansas's largest city, and a Democratic candidate for governor, is specifically targeting in his campaign this unfunded mandate, in the form of millions of dollars in increased insurance costs, which Brownback and Colyer forced upon Kansas's cities by robbing them of their "local" judgments about guns.) More importantly, as with so many things, when many self-identified conservative Americans speak of "local solutions," what they frequently mean is "states' rights," and specifically the rights of states that tend to support conservative causes and elect Republicans. 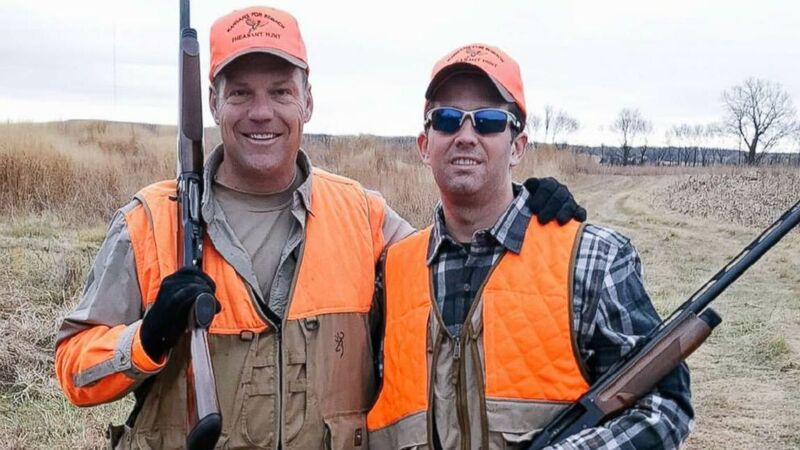 Of course, employing constitutional language in an incoherent and essentially partisan way is hardly unique to the Republican party--but when it comes to guns, at least here in Kansas, such confusion has a long history, and probably will long continue. Caroline Fraser's wonderful Prairie Fires is many things. 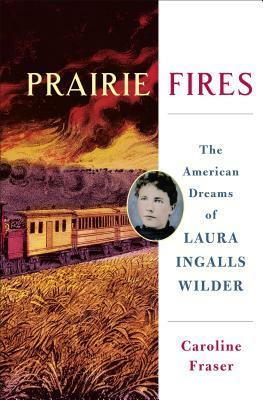 Primarily it's a biography of Laura Ingalls Wilder, author of the justly famous Little House books, and her daughter Rose Wilder Lane. But it's also an impressionistic study of several key moments in the history of the United States, from the 1870s through the 1940s. And it includes multiple extended observations regarding agricultural economics, environmental science, women's issues in pre-WWII America, free-lance writing and publishing during and after the "yellow journalism" era, and most of all, thoughtful considerations of the intellectual milieus that gave rise to political perspectives ranging from the populism of the People's Party to the proto-libertarianism of critics of the New Deal. It does all of those things, and more, very, very well. The result is a terrific book, one that any thoughtful reader can learn from. The primary cause of the book's success, it must be said, isn't Fraser's writing, research, and analysis, good as they are. (I think she sometimes leans too heavily on or reaches too far for psychological explanations, but only sometimes; usually her reasoning about the motives and mental states of the two complicated women she writes about is both careful and well-supported.) No, the real source of the brilliance of this book is the fact that Wilder and her daughter were compulsive diary-keepers, notebook recorders, and letter-writers (and letter-keepers!). The fact that Wilder's fictionalized recreation of her pioneer childhood resulted in not only one of the great classics of children's literature, but was a major contributor to late 20th-century America's romanticizing of its late 19th-century history is, of course, the cause of the enormous amount of research, recovery, and preservation that has attended the life of these long-departed people. But if they were not the sort of people who wrote almost everything down in the first place, all that work--including Fraser's fine biography--wouldn't have had so much raw material to work with. They were, no doubt about it, two rather amazing individuals; of that there can be no doubt. Truth be told, I also strongly doubt that, going off the detailed and fascinating portraits of them that Fraser provides, they were the sort of individuals I would have enjoyed spending time time with, or that would have enjoyed spending time with me. Wilder was a defensive and temperamental person, frequently suspicious, judgmental, and narrow-minded; as for her admittedly brilliant daughter, the kindest thing that can probably be said about Lane, what with her flirtations with fascism, her trail of betrayed friendships, and her self-aggrandizing paranoia, was that she was mentally troubled soul. (By contrast, Laura's husband of 64 years, Almanzo, seems to have had a quiet equanimity and good humor which allowed him to get along with and see the best side of just about anyone.) But you don't have to like an artist, or imagine being liked by them, to be captivated by the art they create. And over a long period of time, Wilder and Lane worked in tandem--sometimes willingly, sometimes not, sometimes with the mother taking the lead, and sometimes the daughter--to create out of Laura's memories a beautiful work of art, a myth of the pioneering and the settling of the recently conquered Great Plains, which has delighted and influenced millions of people. I was one of them; I read all of the Little House books as a child (and no, I don't remember being put off by having to follow the story of a female protagonist), and I read many of them, multiple times, to our four daughters. So what, then, does this book add to what we take from the Little House myth? Fraser suggests that seeing clearly the cycle of deprivation, courage, failure, and resourcefulness that lay behind Wilder's stories, and appreciating the emotionally taxing labor which characterized Wilder's re-telling of those stories, as well as Lane's editorial engagement with them, presents us with a deeply American tale: a will to re-invent oneself, but at the same time to create in and through that re-invention a meaningful continuity with the past. In the same way that Laura's stories--by preserving her father's struggles and songs, his love for his children and his abiding optimism--in essence "saved" her father from the desperate and difficult legacy he left his posterity, so do we all seek to create out of the memory of each individual life a means to preserve that which we wish to be, and maybe really do feel to be, true about those lives. But perhaps that's not so much American as simply human. More specifically American, I think, is the way Wilder's whole story conveys the confusion and ambivalence which America's transformation from a decentralized agrarian society to a centralized industrial one brought into the lives of the poor, white settlers who followed false promises of plenty during the late 19th century to Minnesota, Iowa, North and South Dakota, Nebraska, and Kansas, and attempted, almost always without success, to homestead the Great Plains into productive single-family farms. No serious study of my own state of Kansas should elide that environmental and economic reality; Fraser's work reveals, through Wilder's and Lane's personal reflections and travels, how that reality transformed those on the Plains, engendering both a romance of hard-won triumph and, much more frequently, a barely sublimated sense of shame, anger, and denial. This is where the Populist movement took root, with its railing against banks and railroads (Charles Ingalls joined the party in 1892, and a relative of Laura's and Almanzo's old friend Cap Garland spoke at the party's Omaha convention--p. 165), but a "profoundly, painfully, and ineradicably personal" mix of "guilt and resentment" took root as well, which continued from the devastating Panic of 1893 all the way through the to Great Depression and beyond, and probably still gives life to much reflexive, rural anti-government feeling to this day (pp. 392, 454). In retrospect it seems clear that this country made a terrible mistake in collectively grafting--whether intentionally or otherwise--the Jeffersonian agrarian ideal of the citizen-farmer to a natural and social context where "virtually all the land best suited to small-scale agriculture in the United States had already been taken." Moreover, the marginal farming land which remained was essentially given away for free (thanks to federal military action taken against the indigenous inhabitants of the land, and thanks to an infrastructure mostly built by railroad monopolies benefiting from British money), usually to disconnected, often impractical individuals--"Pa was no businessman," Wilder once admitted; "he was a hunter and trapper, a musician and poet"--who were themselves usually without the sort of cooperative and familial connections that were essential to the few actually successful farming homesteads of the late 19th century Great Plains. The result...well, as Fraser concludes, the result for over a million white immigrants and settlers during the first 30 years of the 1862 Homestead Act who failed and fled--as Laura and Almanzo eventually had to, relocating to Missouri after a new catastrophic years as newlyweds in the Dakota Territory--was that "they were bound to fail" (pp. 163-164, 186, 391). All of this has had, I think, an almost entirely negative contributing effect on the ability of many of us Americans to understand and thus govern ourselves. She had been trying to recapture that evanescent time in Dakota Territory her whole adult life. An account of her family's isolated first winter on Silver Lake figures among the earliest surviving fragments of her writing, perhaps dating back to 1903. She had never forgotten the sight and sound of wild birds migrating across its marshes or the image of wolves on its shores. She had felt in her core the last of the wilderness passing into oblivion and mourned its disappearance, making the loss a leitmotif of her books as it had been in her father's life. She labored over her drafts of the "Wings Over Silver Lake" chapter, her farewell to the soul of a place that would be erased by railroads, towns, and agricultural development (p. 408). There was no railroad there now, but someday the long steel tracks would lie level on the fills and through the cuts, and trains would come roaring, steaming and smoking with speed. The tracks and the trains were not there now, but Laura could see them almost as if they were there. Suddenly she asked, "Pa, was that what made the very first railroad?" "What are you talking about?" Pa asked. "Are there railroads because people think of them first when they aren't there?" Fraser's tremendous documentation and synthesis of Wilder's journey, both internal and external, makes it pretty clear that "wind and weather," and much else besides, are far less "permitting" than we who are moved by the Little House myth usually allow ourselves to admit. These were men and women and children, whole families, that too often arrived without any local "knowledge of the place," as Wendell Berry would put it. The results were usually sad, and frequently appalling in their costs. Yet somehow, sometimes, a few of them really did actually manage to change the face of the land in a way which endured, creating through their efforts a place, a home...though usually only for those who followed them, not for themselves. For example, the centerpiece of my university, and the building in which I teach and work, is the Davis Administration Building. 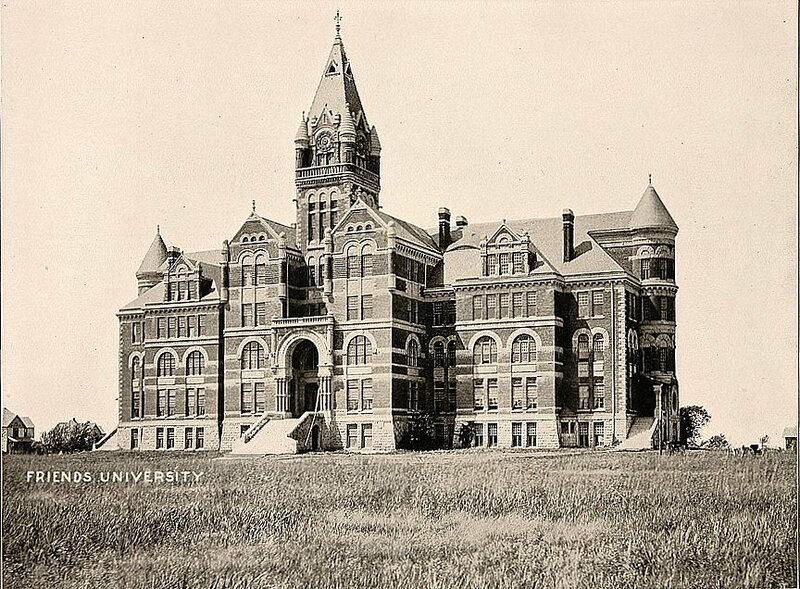 It was built to hold the entirety of a proposed Garfield University from 1886-1888; at the time of its completion, it was the largest educational edifice in the United States west of the Mississippi River. Garfield University was bankrupt by 1890 though, and through the following decade this monument to something a group of dedicated Kansas settlers had "thought could happen" stood abandoned on the flat scrub plain west of Wichita. But then came a wealthy philanthropist from St. Louis, who purchased the whole lot and gave it to the Kansas Society of Friends, which opened Friends University in 1898. So all is well that ends well, right? Well, my judgment differs depending on if you ask me as a political theorist, a Kansan, an educator, a husband and father, or more--we all, like Walt Whitman, contain multitudes after all. So in conclusion, let me say that I can't recommend Prairie Fires, whatever its small limitations, strongly enough; it presents the life and perspectives of an exceptionally multitudinous woman, and her perhaps even more varying daughter, in a way that helps one see through all their losses, reversals, and denials, to grasp the dreams and aspirations which animated them through all of the above. Not all dreams and aspirations are equally defensible, to be sure, and taking seriously what community and place and economic and environmental (to say nothing of psychological!) limits really mean ought to give all of us pause as we contemplate our attraction to the Little House myth. But the attraction remains, if only because the world Laura Ingalls Wilder saw and remembered is a world continuous with our own present moment. Wilder herself, with her daughter's essential help, made sure of that continuity. She made a myth, and that myth--of pioneers and privation, of "the grasses waving and blowing in the wind, the violets blooming in the buffalo wallows, the setting sun sending streamers through the sky" (p. 515)--belongs to us all. Or at least, every time I take my bike out on a long, straight summertime ride towards that abiding, waving, prairie horizon which reaches all around me, it belongs to me. Songs from '78: "Follow You Follow Me"
For the second time--and not for the last--my memories of the pop music world of 1978 are shaped in part by the detritus of progressive rock, as it was reconfigured and reconstituted in the wake of punk and disco by talented musicians who realized that the audience simply wasn't there any longer--and, frankly, they themselves simply didn't have the patience any longer--for intricate, artistic, and often admittedly indulgent musical statements. The English band Genesis is a perfect example--there's not a shred of punk or disco to be found in any of their recordings, and yet, by the late 1970s, they were internalizing the solid rock and roll reminders which those very different movements communicated quite well: figure out what you want to say, say it succinctly, say it with passion and fun, and then move on to something else. 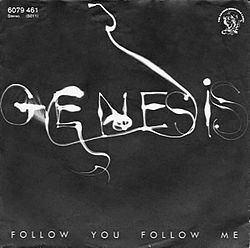 "Follow You Follow Me" is a wonderful love song, a Mike Rutherford composition, and a great example of this lesson: it has synthesized hints of Genesis's by-then patented expansive artistry, but was nicely packaged into less than 4 minutes nonetheless. It was the first single from And Then There Were Three, the band's first real step in an overtly pop direction. It wouldn't be until their subsequent albums--Duke, Abacab, and Genesis--that their departure from the progressive rock world became complete; for this recording, released 40 years ago today, what we're hearing is some skilled artists learning how to first put their talents to work in a different, tighter, more accessible direction. And you know what? Sure, I like "Firth of Fifth": it's a deliriously cool 10 minutes of music. But am I bothered by the change Genesis began, 40 years ago today? To slightly misquote Phil Collins: no, I don't mind at all. This year my employer, Friends University, a non-denomination Christian liberal arts college in Wichita, KS, decided to develop, in conjunction with our regular chapel observances, a calendar of Lenten devotionals, and they asked for students, faculty, staff, and others to contribute. Some of those who contributed were Roman Catholic or from other high church Protestant traditions, and thus the language and rituals of Lent were familiar to them. For Mormons like me, obviously, that isn't the case. Still, this is my contribution; hopefully it fits the spirit of the occasion well. Sometimes, when I read one of the Psalms, I can’t get out of my head the image of an ancient gathering of people, speaking (or singing) in a language I do not know, in a time and place I can barely imagine, conveying sentiments that are pretty much exactly my own. Jews of twenty-five hundred or three thousand years ago, writing down the pleadings, the hopes, the fears, the longings, the demands, and the celebrations of their hearts, and the spiritual language they used sometimes manages to express something that strikes my modern, Christian self to the very core. One such Psalm is 105. It is a psalm that surveys the history of the Jewish people, as they understood it at the time--and it also, from our Christian perspective, helps us see that history as pointing towards something else, something greater. “Give thanks to the Lord,” it begins (v. 1). “Invoke him by name, make known his deeds among the peoples.” And what great deeds they were! In 45 verses, the psalm reminds us of Abraham, Isaac, Jacob, Joseph, Moses, and Aaron. The Abrahamic covenant, which began with a single family—“A small company it was, few in number, strangers in that land” (v. 12)—is unfolded all the way through the Exodus and the arrival of the children of Israel in the land which was promised to them. “He opened a rock and water gushed out, flowing in a stream through a parched land; for he was mindful of his solemn promise to his servant Abraham” (v. 41-42). Lent can be productively understood, I think, as time of wandering. Through fasting, prayer, and selective attempts at change (this year, once again, I'm attempting a Facebook break), I put myself, as much as possible, outside my daily routine, and attempt to see in myself not someone perfectly at home in this fallen world, but a pilgrim, an exile, a stranger, one who is wandering through the desert of preparation, waiting on God’s promise of Living Water. Turning to these ancient words--these songs, these poems, these heartfelt pleadings and hopes--is thus appropriate, I think. Abraham and the world of those who honored him in psalms is unimaginably distant from us today--yet we are part of that story nonetheless. It is a story which weighs us down with its length--but also lifts us up, with its promises of what awaits us at the end. Perhaps being reminded of this great distance, this immense journey, all encompassed by God’s reach, and all of it encompassing us as well, is exactly why we are invited, as Christians, to wait and wander through Lent every year. Songs from '78: "Night Fever"
"Night Fever," released today in 1978, was the sixth and final single released--four of which had been written by the Bee Gees--from Saturday Night Fever, the monster soundtrack which accompanied the okay (but thoroughly dated) movie by the same name. They both came out in 1977, but the former stayed on top of the charts for half a year, and stands today as the first or second best-selling film soundtrack of all time (it depends on how you calculate these things). 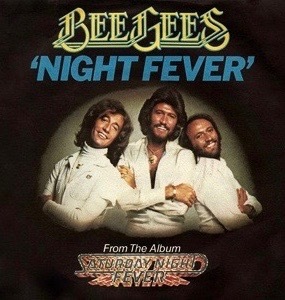 Was "Night Fever" my favorite song off that album (which my older sister had and treasured)? Probably not; I might have to choose the disco ballad "If I Can't Have You," sung by Yvonne Elliman. But, honestly, if you were alive in 1978, it was the Bee Gees you heard, everywhere, all the time, and whether you found disco music (which, I later learned, was already dying out as a style in the clubs at the time when John Badham, John Travolta, Hollywood money, and, of course, Polydor Records took a mostly fictional story and gave the scene a massive shot in the arm) appalling or loved it, you did buy the album, and your head does bounce along with this groovy little dance number. Don't deny it. Friendship is one of the grand fundamental principles of 'Mormonism'; [it is designed] to revolutionize and civilize the world, and cause wars and contentions to cease and men to become friends and brothers....Friendship is like Brother [Theodore] Turley in his blacksmith shop welding iron to iron; it unites the human family with its happy influence. Or so Joseph Smith, the founder of my religious tradition, was recorded as saying on July 23, 1843. To my mind, it's heavy doctrine--and the fact that I take his claims about friendship so seriously has been on my mind lately, for a variety of reasons. For starters, I would bet that just about everyone who happens to read this is likely connected to a particular web of online associations which, thanks to the power of capitalist branding, has gotten away with labeling everyone involved in its operations as "friends" (and we keep using that term, even though some research shows that most of your Facebook friends are anything but). The influence of this technologically enabled shift in our social perspective is so great that the Powers That Be behind it can just make up "Friend Day" holidays, one of which probably popped up on your FB page just yesterday, like it did mine--and based on clicks, people appear willing to go along with it. Of course, some of you have escaped the tentacles of Facebook. If so, you have my admiration. But Twitter, YouTube, Instagram, Tumblr, and so much more (blogs included!) inundate us nonetheless. 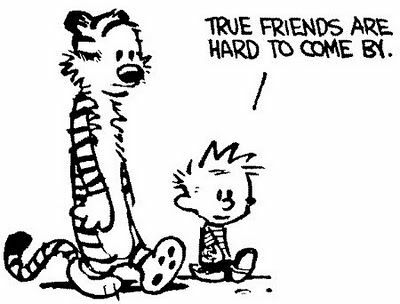 And all of it, no matter what the honest exchange of information or entertainment or empathy or interest they enable, nonetheless depending upon a virtual simulacrum of friendship, as a substitute (and, sometimes, a replacement) of the real thing. As it happened, a cool, off-beat, local Christian organization here in Wichita, the Eighth Day Institute, hosted just this past weekend a symposium titled "Friendship in a Fractured Age"; the keynote speaker was Ken Myers, of Mars Hill Audio, and the main theme of his address was "Social Media and the Commodification of Friendship." I shared with him the anecdote from my class, and in response he shared some other research and surveys he had access to which showed such attitudes aren't rare. The kids aren't dumb, my fellow Gen Xers and Baby-Boomers and even older folks; they know that, at least in some ways, at least some of the time, they are relying upon social media platforms and tech companies and buzz phrases to create the sort of memorable, personal, intimate, tactile connections and friendships which they've learned all about from us, from their parents, from television programs and movies and books, all of which celebrated friendships...and are often finding, unfortunately, that the commodified substitutes of the day just don't do the trick. Don't believe these weird, Wendell-Berry-reading conservative Christians? Well, then how about former president Barack Obama? 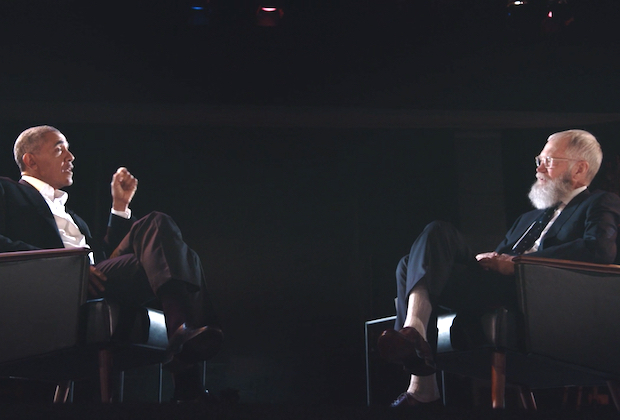 In the first episode of David Letterman's new Netflix show, Obama talked for a while about social media, which his 2008 campaign for the White House depended heavily upon, but which has now shown us not only how the increasingly sophisticated algorithms those social media platforms employ can easily generate and entrench "completely different information universes," but also how "people in power, special interests, foreign governments, etc." can essentially set the terms for how so many of us judge what to believe and whom to trust. I suppose one could argue that this sort of prostitution and manipulation of the human desire for knowledge and belonging and friendship has been going on as long as any kind of print or electronic media has existed; it's not like fake news or the pre-internet versions of catfishing and bullying and all the rest didn't exist before the invention of phones that we can carry around in our pockets. But all the same, to assume that if one can point out antecedents to contemporary distrust, tribalism, and alienation, that therefore there is no reason to think contemporary complaints about such can possibly represent something genuinely new and threatening to what Joseph Smith was talking about is, I suspect, profoundly wrong. At the very least, the fact that friendship, its range or quality or absence, is something much talked about today is undeniable. (Within my own Mormon tribe, the discussion has been near constant for a while now.) Ken Myers, at the conclusion to his presentation, reminded us all of the promise of scripture that someday we would see God and one another "face to face," and that the friendship Jesus Himself offers all His disciples is tied to "speaking plainly, and using no figure of speech"--which, I would warrant, doesn't include emojis. 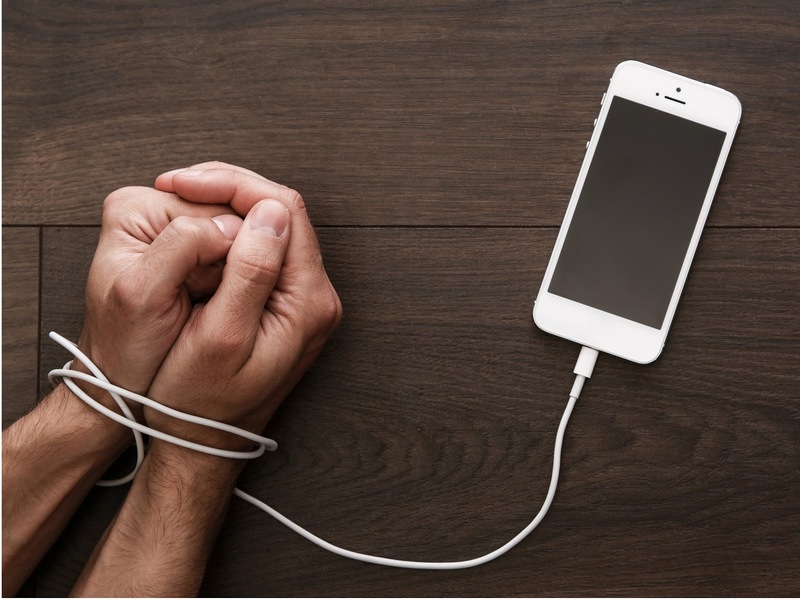 Myers expressed his fear that our overwhelmingly--and, increasingly, our economically mandated--networked and wired world would lead those who move through it (namely, all of us) to form their hopes, their expectations, and their faith completely separate from that beautiful vision. In a small way, I suspect that endless the social media-driven arguments I mentioned above over who can be a friend to whom are at least partly shaped by this loss of the face-to-face. Count yourself lucky if you don't know what I'm talking about. The FB friend, the Tweet responder, the anonymous e-mailer, all of whom wonder how you could possibly support that cause, or forward that article, or agree with that comment, when this other perspective on that cause, or this other reading of that article, or this other context for that comment, clearly shows its ugliness, its violence, its self-loathing, its incoherence, its immorality, its Trump-supporting awfulness. Can't you see this is anti-Christian? Can't you see this is racist? Can't you see this targets that group, this undermines that principle, this excludes that obvious and necessary truth? How can you call yourself a Mormon/an American/a leftist/a decent human being while you tolerate such nonsense? What kind of monster are you anyway? In my experience, in the midst of such faceless back-and-forths (which, I state for the record, I actually kind of like, because I dig arguments, and because I usually fail to recognize if something has become poisonous until long after it became such), saying that you know the author or the situation personally, that you've talked with them face-to-face, that you've spent time and sweat into engaging with these issues, that you've broken bread and been silly and personal and private with all of the above, and thus can't quite accept the reductive accusations about these individuals and movements being tossed around, rarely makes much difference. And, of course, maybe it shouldn't (the curt "so what if they're nice people? Hitler liked puppies too"-style of response is kind of silly, but not without a point). But more than I fear for the loneliness of my students, or for the stress of juggling multiple Facebook friends groups, I fear that the absence of the personal, the intimate, the tactile, the face-to-face in our friendships is resulting in a shrinking and contorting of our ability to feel love for our fellow human beings. When the first thing we learn about a person, or the thing about them which most consistently comes through our algorithms and screens, is that they participated in the Women's March (and therefore are pink-hat-wearing, religion-hating, exclusionary SJWs) or that they like some Republican candidate (and therefore are gay-bashing, theocracy-building, white supremacist Trump supporters), the narrowing and maximizing and personal-difference-and-nuance-crushing logic of our electronic tribes is only strengthens. It isn't uncommon, I think, for people who hold to Christian teachings to insist that you can keep these different tracks separate, and hence that our ability to exercise love--meaning charity or agape--towards all our fellow human beings isn't undermined when we also willingly cultivate (or passively allow our commodified arts of "friendship" to cultivate for us) a complete loathing of everything this particular segment (or segments) of our fellow human beings say or do or affirm. Call it just the latest iteration of the whole deceptively simple "hate the sin, love the sinner" nonsense. It is nonsense with a long pedigree in Christian thinking. Kierkegaard, among others, said Christians shouldn't be bothered by mere friendship, or presumably or the lack of it; in his view philia, that form of love which is fundamentally characterized by freedom and partiality (we choose to be friends with this person, but not that one; we choose to be loyal to our friend; if the friendship comes to an end, it's because we choose it), was essentially pagan, and an unworthy companion to the rigorous (and admittedly, sometimes de-humanizing) universality of Christian charity. Fundamentally, genuine friends grant us access to the most creative dimensions of our souls by receiving us and reflecting us back to ourselves. In this way, we are able to see what could not be seen before. We encounter our own identity and possibilities in fresh and dynamic ways. We can act in a manner previously unthinkable to us. Friends liberate our own inner resources for God's disposal, and thus are channels for the mediation of his grace to us (p. 96). To answer Kierkegaard: yes, in this world, the practice of unrequited agape is essential to the Christian life. But one cannot survive on agape alone. We share vital loves within our families, and in addition to that, the philia between friends deepens and enriches love's place in our lives. It does not matter if it is experienced within the confines of the fixed social hierarchies of traditional societies or in the fluid and free associations characteristic of modern Western culture. 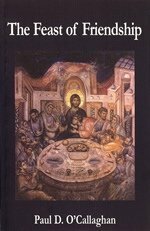 Friendships realize the vital communion of love given and received (p. 125). 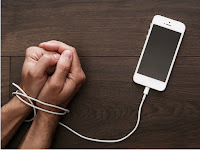 O'Callaghan's modified defense of modernity in that last passage should indicate that it's not as though the only sort of friendship which he thinks ought to be considered acceptable to concerned Christians is one untouched by technological tools of connection. (Both he and Ken Myers, when I saw them at the conference, both had smartphones, for whatever that's worth.) The more important point, I think, is that the freedom which characterizes real--not fake--friendship, can withstand all sorts of diversions and differences. (Even, I should note, gender differences; while O'Callaghan is quite traditional in his thinking about sexuality and sexual morality, and appropriately so, he has little sympathy for the "fundamentalist" notion that women and men can't choose to be friends; he writes that such rigidity denies "the essential primacy of the person, created in the image and likeness of God"--p. 109.) To confront those differences, to see and know and come to enjoy the association with the actual human being or the actual living organization that generates those perspectives from which we differ or experience challenges or even suffer embarrassment is part, I think, of the process by which God opens up ourselves to ourselves, thus teaching us better just what our capacity to feel charity both towards our friends and our enemies (and, I suppose, our frenemies in between) really is. But it must be a real friendship, I think, one grounded in, or at the very least characterized by, our lived-in, and not wholly mediated, materiality. Like every good Generation Xer, I was taught by They Might Be Giants that, at some point, the racism--or the anti-Mormonism, or the homophobia, or the classicism, or the Trump-defending, or the insistence upon any number of other perceived slights and/or genuine evils--might become so explicit, so indicting, that you need to rethink the partiality by which you choose to view the person or cause or idea that you feel affection for. "Can't shake the devil's hand and say you're only kidding" isn't wrong. But note, in closing, that the context of that song, and the point of decision it describes, the realization that one's friend really is a devil, is an actual, bodily experienced party. Not a chat room, not an FB group, not an e-mail chain, not a Tweetstorm, but an actual, face-to-face encounter, with actual "bobbing and pretending," hearing words actually spoken complete with their whole history and their body language and their social cues along with them. The friendship Smith praises was liked to welding iron to iron--which means a real physical unity, a real handling of the different shapes of iron in hand, with real heat applied to see if their edges can come together. Nothing virtual there. Maybe if we kept ideal as our rule of thumb, and sought for such whenever and however we can, if only as a necessary supplement to all the other wired connections in our lives, then perhaps the twin poles of alienation and extremism might lessen in force, and our confusion over the holiness of simple friendships could be a little lessened as well. Songs from '78: "Baker Street"
Forty years ago today, the first single from Gerry Rafferty brilliant--and criminally forgotten among even many serious pop listeners--album City to City began to make its way up the charts. 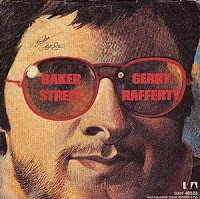 That single, which for nearly every casual pop listener in America who happens to know Gerry Rafferty's name (and for a long time, I wasn't one of them) pretty much defines the man is, of course, "Baker Street." He cranked out multiple great pop songs in the late 70s and early 80s, songs marked by lyrical wit, a wonderful balance of jazz, blues, and folk instrumentation and straight-ahead guitar-based rock, and a subtle tone that fit his retiring, introspective, distrustful approach to the pop world as a whole--"Night Owl," "Right Down the Line," "Get it Right Next Time," etc. But "Baker Street" is the song that took root in my skull and never left. I'd forget the tune or lyrics months or years at a time, and then I'd catch a moment of it on the radio, and it would all come back. Apparently, for Rafferty the song is an expression of finding new hope in the midst of the frustrating urban banality of the lawyers and studios of the music business, but to me it's always been a song of the summertime and outdoors. Not the hopeful beginning of summer, but late summer, when the vacations are over and everyone is tired of swimming and school is about to start and it's time to get back to work...and yet, maybe, just maybe, the good times aren't quite over yet. And out into the late, hot (but finally cooling down!) sunset-colored world you go.